A dynamic presentation about diabetes prevention, detection, and management is made easy with this comprehensive educational package. Participants are provided with factual information about diabetes as well as opportunities to relate the information to their own lives. PACKAGE INCLUDES: - Detailed, four-part Facilitator's Guide (may also be purchased separately): - presentation script with corresponding worksheets and hands-on activities; - multiple-choice quizzes; - comprehensive test; - creative enrichment activities designed to foster interactive participation. 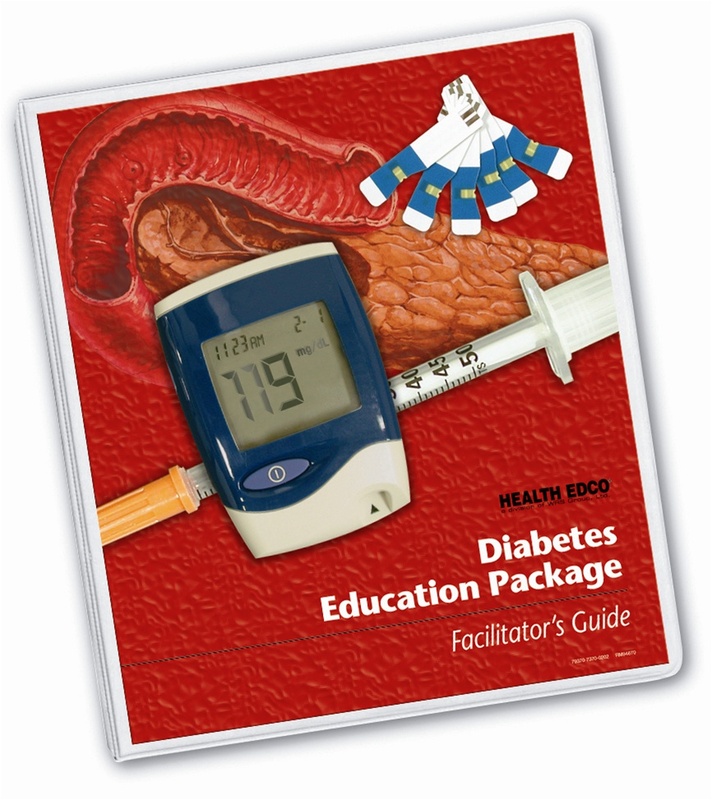 Attention-getting teaching aids: - What You Should Know About Diabetes folding display; - Diabetic Foot Model; - Understanding Diabetes chart; - Diabetes booklets (50). Presentation may be tailored to fit a variety of time formats, from one longer session (approx. 8 hours) to several short sessions. Activities appropriate for both secondary and adult audiences are included.